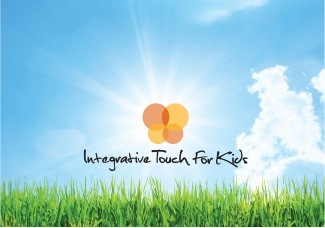 Integrative Touch for Kids Event Junior Volunteers: Healing Circle 10/14/18 - Under 18: Junior Volunteer Sign Up! Healing Circle 10/14/18 - Under 18: Junior Volunteer Sign Up! This year - in order to create EVEN MORE opportunities for families with children with special needs - we are launching (dah dah dah daaaaah!) the Healing Circle Program. The Healing Circle's are wellness events that run on Sundays throughout the year. Muy fantastico!!! We're thrilled you want to join us at our next Healing Circle!!! You are ESSENTIAL to the success of this program! After signing up for this event, give yourself a high five, a pat on the back, and a huge round of applause!!!! - Complete the ITK Volunteer Form with this link, which will also be emailed to you when you finish signing up. - Pretty please - wear your ITK T-shirt if you have one. If you don't and you'll be volunteering regularly, shirts are available for $20 - proceeds go to a great cause (wink, wink)! Be sure to wear comfy clothes and be ready to play!